Spatial Data Research is a GIS mapping, software and consulting company specializing in integrating GPS with our mapping and GIS applications. Since incorporating in 1993, SDR has provided E9-1-1 mapping, addressing and communications services, along with custom software development and GIS consulting, to more than 300 counties, municipalities and private sector clients. Since our incorporation in 1993, SDR has completed more than three hundred GIS/mapping projects for state, county, municipal, public safety and private sector clients. The following projects are representative of our wide range of experience and diverse client base. Escambia County, AL GIS Enhancement to Improve "Reverse911"
The need to compile and maintain regionalized GIS layers for multi-agency use becomes more critical as the E9-1-1 industry moves to Next Generation 9-1-1. NG9-1-1 is based on IP networks delivering communication from text messages to video to traditional 9-1-1 calls to Public Safety Answering Points across the country. Key to determining call and message routing are GIS boundaries defining PSAPs, Emergency Service Zones and Communities. As 9-1-1 calls will be routed spatially in NG9-1-1 environments, accurate PSAP boundaries in GIS format are required for accurate call routing. 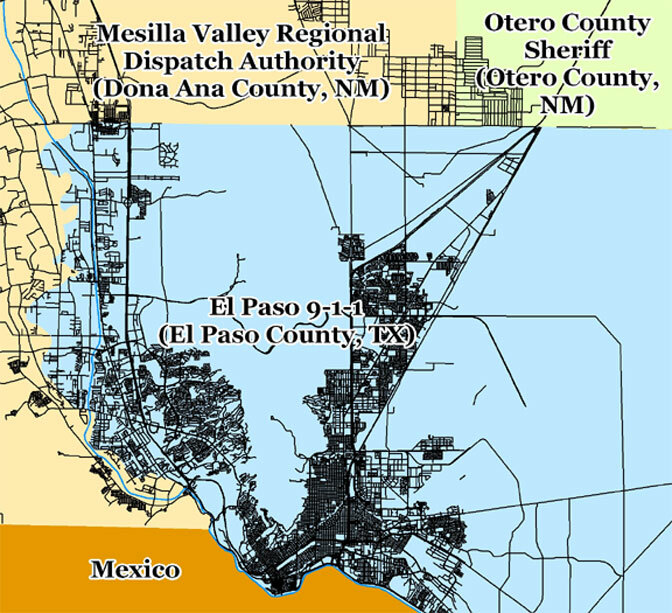 The State of Texas approached the State of New Mexico in 2009 to enter a joint project to resolve PSAP boundaries at the state line which extends from the Oklahoma Panhandle to the El Paso area. SDR, as the State of New Mexico’s E9-1-1 GIS Consultant, is working with more than 25 PSAPs and the two states to adjust New Mexico’s GIS PSAP boundaries as a critical first step to implementing geospatial call routing in New Mexico and Texas. GIS Enhancement to Improve "Reverse911"
SDR completed the original mapping and addressing in 1996, using differential GPS in the field and MicroStation as the mapping platform. The County successfully maintained the system for five years using GPS to map new roads and homes and SDR's custom software to automate digital mapping and addressing. 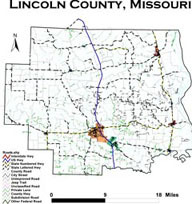 In 2001, with newer and better GIS and GPS tools available, SDR helped Lincoln County migrate their data into ArcView. Today, Lincoln County uses SDR's ASIA addressing and Tao GPS interface software with real time GPS to update its 9-1-1 GPS in one integrated field process. Lincoln County also uses Go2It. SDR's map location software, interfaced to the existing 9-1-1 and CAD software for immediate call mapping. SDR has completed full-service E9-1-1 projects like Lincoln County's in more than 50 U.S. counties. "Since March of 2004 Spatial Data Research has provided mapping solutions for Ottawa County, Oklahoma E9-1-1. SDR delivers hardware and service in a timely manner and continues to provide prompt professional support with our occasional questions. SDR keeps us informed of the latest innovations in mapping and we look forward to continuing our business relationship." Copyright © 2018 Spatial Data Research, Inc. All Rights Reserved.